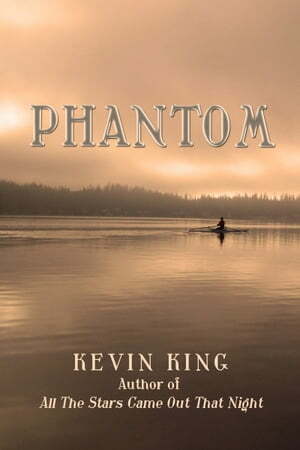 Collins Booksellers - Phantom by Kevin King, 9781370303540. Buy this book online. A story of hopeless love—a serial philanderer and gambler married to a woman much younger—and impossible love—his wife, Casey Googan, and a black boxer. Turn of the century Boston comes alive with crew races, balloon races, boxing, rat-baiting, and fashion competitions judged by Isabella Stuart Gardner. Boston’s sculling champion, blue-blood Foxhall Codman, is obsessed with the possibility that the phantom sculler who rowed through him in fog on the Charles River was a woman. Thirty-thousand spectators—Brahmins and geeks, catch-penny operators and thimble riggers—turn out for the epic race on the Charles, a battle of the sexes prefiguring Bobby Riggs and Billy Jean King seven decades later.